On August 15, 2018, I will be celebrating the 10th anniversary of iWebU - that's over 500 weekly posts. Leading up to that momentous date, I am re releasing the "best of iWebU", starting in 2008 and moving forward in time. These are the posts that stand the test of time and remain as valuable today as they did then. And so, I revisit Web Secret #79: Know Your Meme. Why? The Internet meme continues to be one of the most powerful agents of change in the world. Note to my readers: Most of the links in this post - the important ones - continue to work. Create a successful meme to promote your product or your services and you have captured lightning in a bottle. There is no more powerful form of viral marketing. It's a catchphrase or concept that spreads quickly from person to person via the Internet, much like an esoteric inside joke. The content often consists of a joke, an altered or original image, a complete website, a video clip or animation, among many other possibilities. An Internet meme may stay the same or may evolve over time. Internet memes have a tendency to evolve and spread extremely quickly, sometimes going in and out of popularity in just days. They are spread organically, voluntarily, and peer to peer. What does it take to come up with a compelling meme? Enter KnowYourMeme.com, a fabulous website that catalogues memes making them easy to study. As an example, typing in "hamster" in the site's search window brings up the 1998 Hampster Dance, one of the earliest examples of an Internet meme. 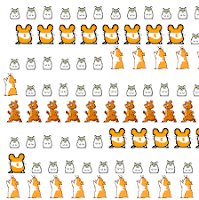 Of course the Hampster Dance was meant to entertain, not sell products. But there is much to learn from even non-commercial memes. But what about something more recent? Check out the Starbucks Love Project launched December 7th. It asks that you submit a 30 second video of you and your friends singing the Beatles "All You Need Is Love" or your "love drawing", and Starbucks will contribute 5 cents towards the global fight against AIDS. Today, December 8, hundreds of thousands of people from 120 countries have already participated. Now how much good will do you think Starbucks has generated for itself? But what if you have zero dollars to invest in viral marketing? Once upon a time, there was a real estate project in San Franciso called Pacific Cannery Lofts. The challenge they faced was getting San Francisco dwellers to buy one of their loft apartments in West Oakland - which most locals considered to be an Outer Mongolia location. The Pacific Cannery marketing team had no money to promote the project. But they were smart. They borrowed a car, a very cheap video cam and they created a handful of minute long videos titled “Time Trials”, shot documentary style, showing how quickly a person could drive from the Lofts to various desirable locations in San Francisco. They uploaded the videos to YouTube. "Time Trials" became a cult hit. Hundreds of people e-mailed them to one another. Some even filmed their own "Time Trials" and submitted them to YouTube as well.